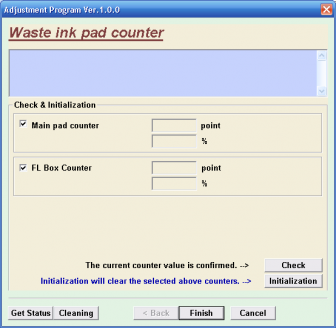 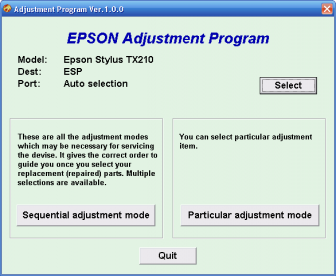 A reader of this blog gave download link for Adjustment Program or software resetter for Epson TX210. 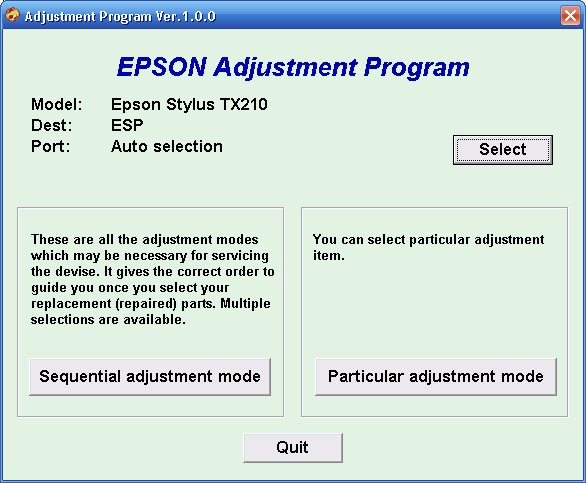 This software Epson resetter not require date setting, just run the adjustment program executable to run the software. 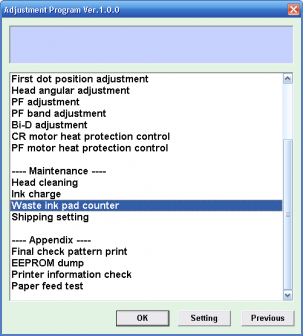 Epson TX210 is multifunction inkjet printer that can print up to 5760 x 1400 dpi.This Epson printer delivering versatility and easy useability. 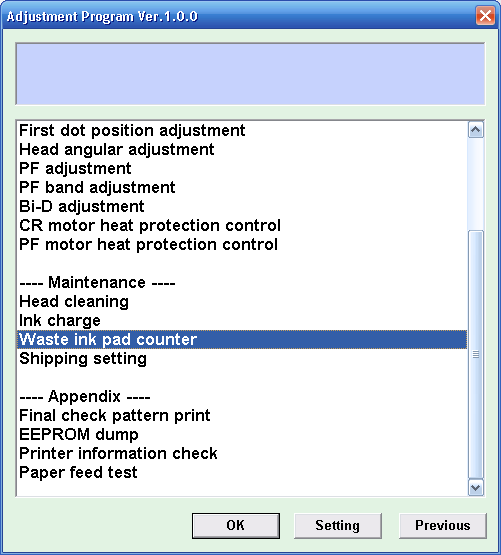 The features on Epson TX210 such as 1.5 inch LCD viewer, memory card slots, scanning and copying features and this printer using four individual cartridge DURABrite Ultra ink. 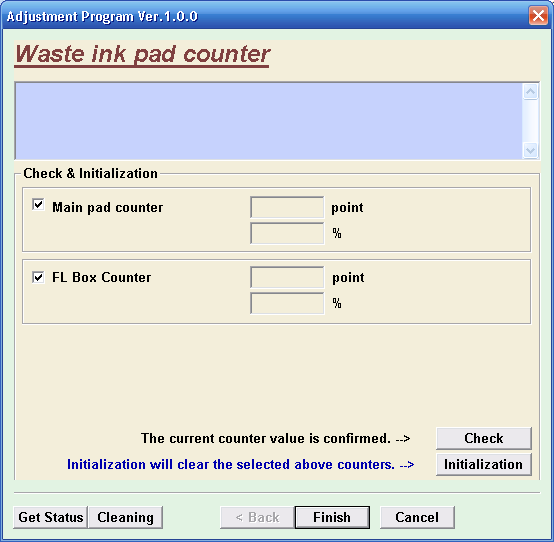 This epson printer type can be connected to computer using USB calbe.The Epson TX210 support for operating system, Windows 7, Vista, Windows XP, Windows 2K and Mac OS 10.3.9.